I mentioned the other day that I was making a little quilt for my niece’s first birthay. 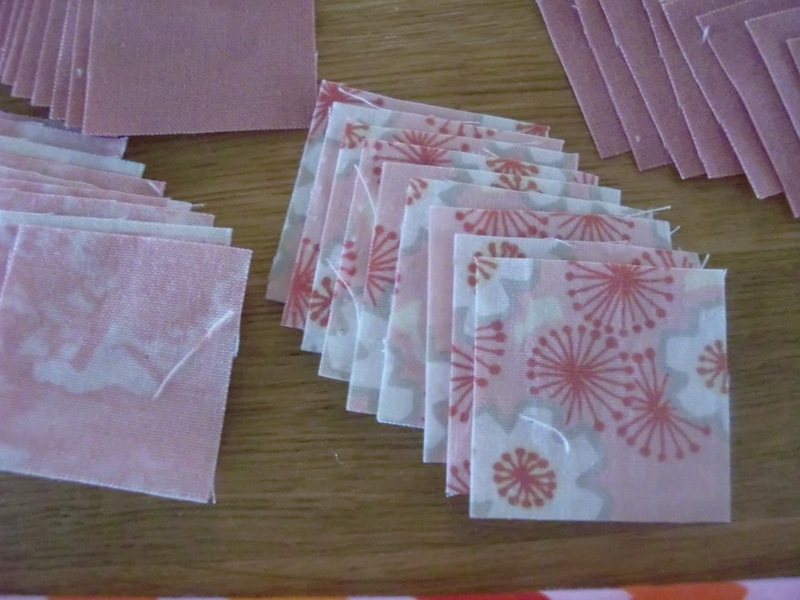 Well I have been busy cutting lots of little squares. A little too busy in fact. I thought I had loads of the plain fabric to do what I was doing. I really should have stopped to check my measurements…..
As a result I have had to cut a load of (hastily purchased) patterned fabric and re-think the design. The finished little quilt top will have 256 little (1 inch) squares. 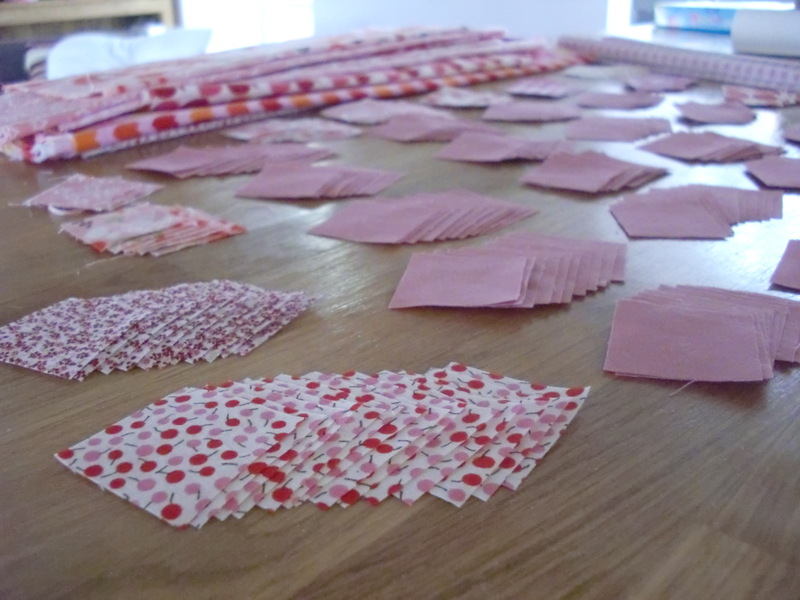 That’s a whole lot more piecing than I was planning!